Coreless Brushed DC Motors has excellent performance and motor control is simpler. 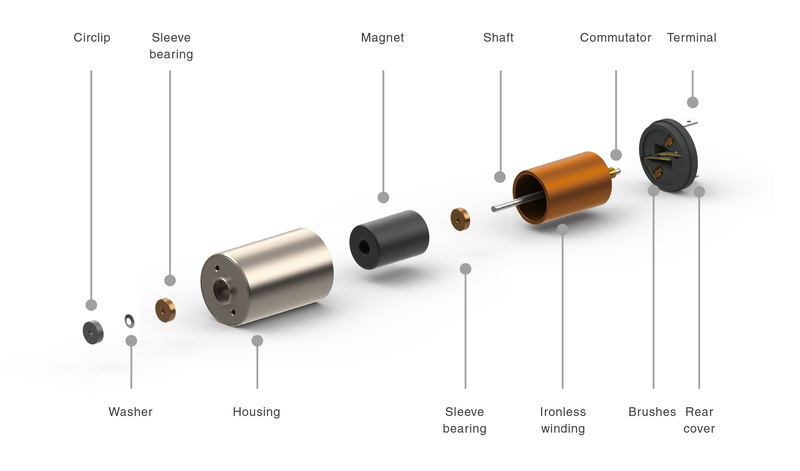 We provide three types of coreless brushed DC motors whose diameters are 13mm, 17mm and 24mm as option . Coreless brushed dc motors runs up to about 12900rpm. When you couple it with gearbox, you can get high torque, and the encoder can be used in accurate positioning application. To make this product perfect in small application like pipettes, spectrophotometers, sample pretreatment platforms, precision balances, micro diaphragm pumps and other analytical equipment we also provider driver as option. MOONS' coreless DC motors differ from conventional iron core DC motors in that the rotor consists of a self-supporting lap winding. Innovative ironless winding helps our motor to achieve the best performance.